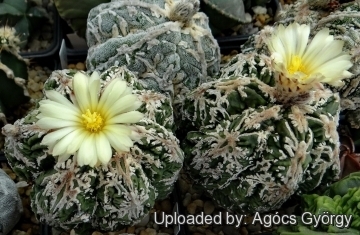 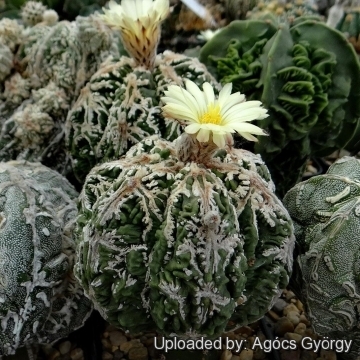 Description: Astrophytum myriostigma cv. 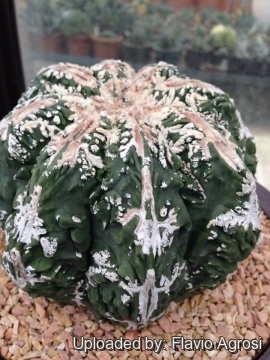 Fire Works, in Japanese speaking "Hanabi Fukuryu Hekiran", is a fascinanting cultivars with a very wrinkled appearance, almost "crumpled" and recalling the shape of an Aztekium ritteri. 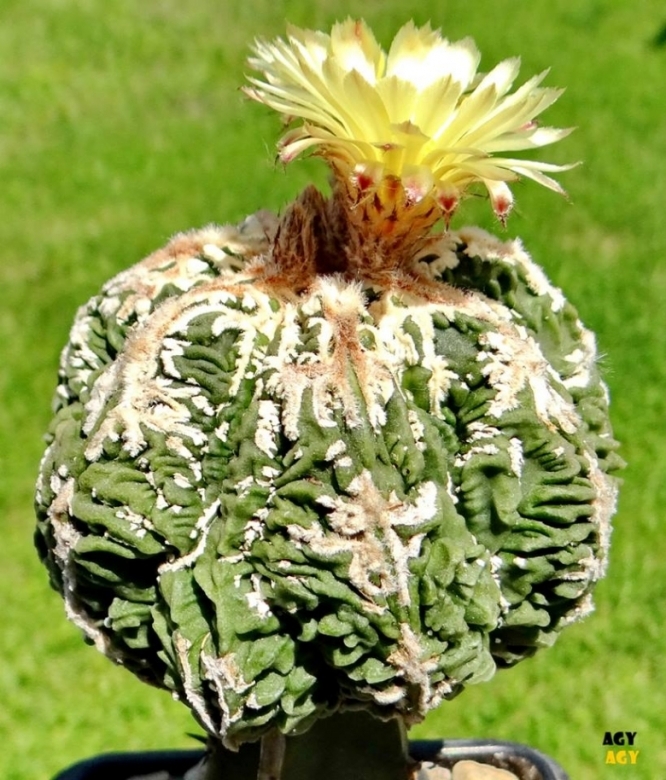 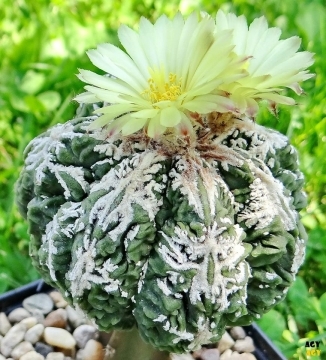 It looks something like an extreme form of Astrophytum myriostigma cv. 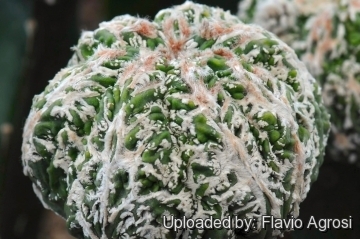 Fukuryu (type B) nudum but with lovely designs radiating from each areole recalling of a firework scene, hence the name. 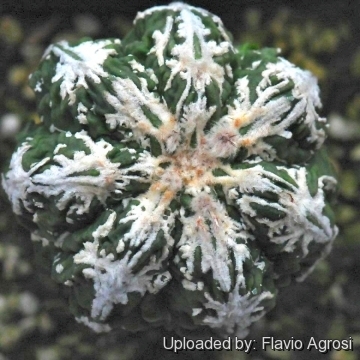 This fascinating Rampowgyoku (A. myriostigma) has been created by Mr. Kawamura in Japan who first called it Firework.